“Remember, EVERYTHING here HURTS!” said Matt McFee, founder and director of AZT Expeditions, as our group prepared to roll out. 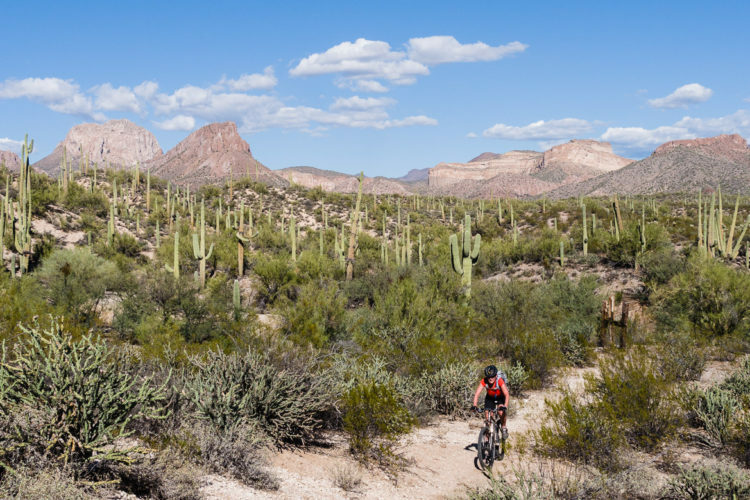 The nine riders were poised to set out on the first of four days riding in the Sonoran Desert on a 100-mile segment of the Arizona Trail. Matt was actually riding as a participant, with his buddy, Kevin, but gave us a preview of the first day’s 28-mile endeavor. Expanding on the warning, he listed some things that “hurt”: cactus (of many varieties), sharp rocks, ants, snakes and monsters (of the Rattle and Gila types), and heat. Hmmmm…. 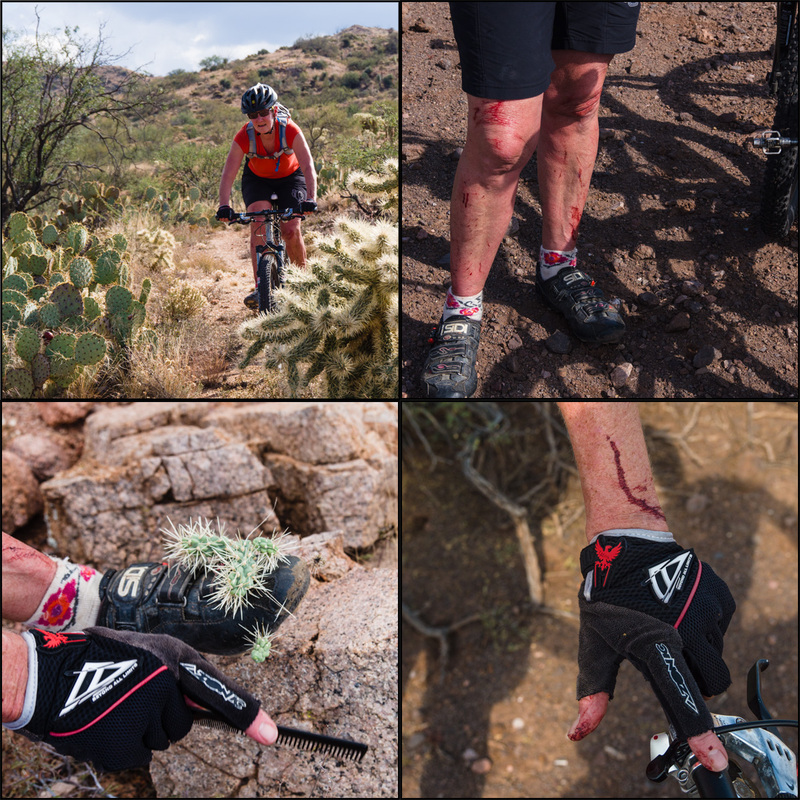 The cacti engulf the trail, grab your legs and hands and cling on when they can. 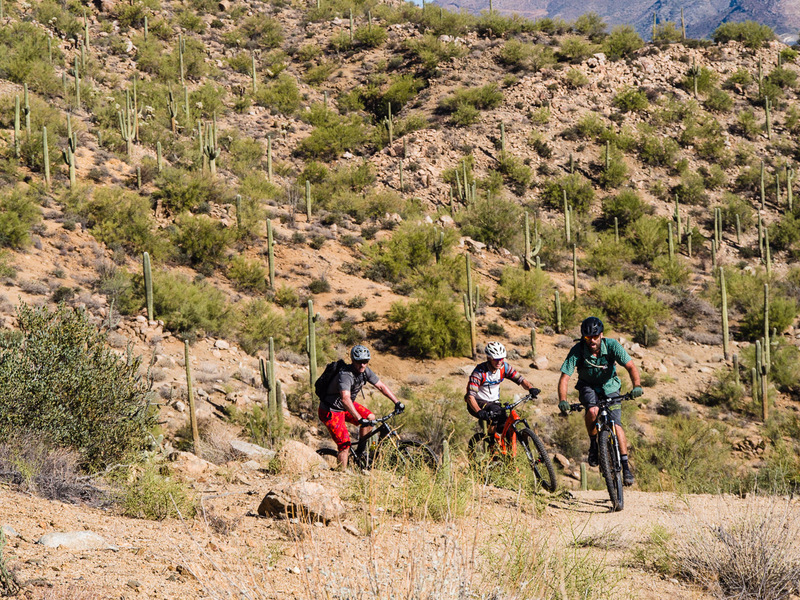 So, how on earth did a 58-year-old, intermediate-level, female mountain biker find herself in a group of advanced/expert-level men, aged 38 to 50ish, about to spend four days in the Sonoran Desert? 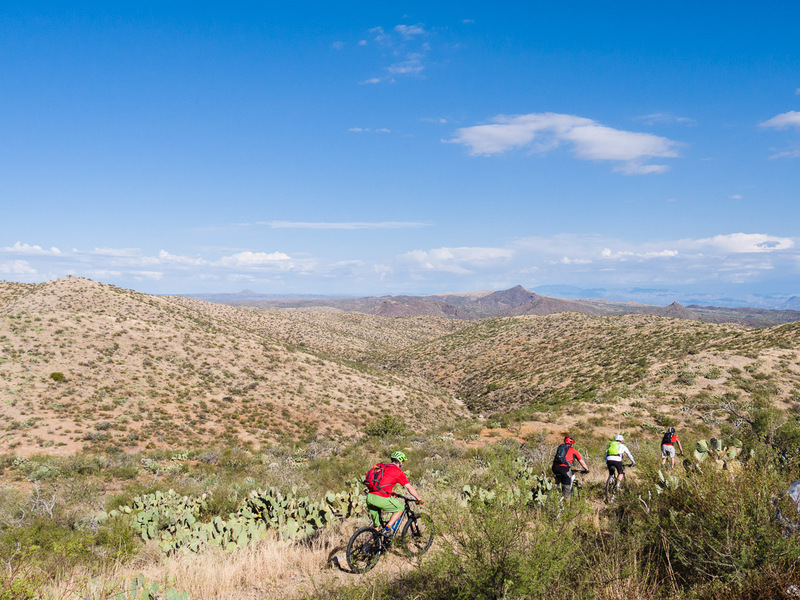 When the opportunity came along for my photographer husband, Scott, and me to cover an AZT Expeditions tour for Singletracks, it seemed like a good way to experience a place we’d never been before. After being assured that the trail conditions are not particularly “gnarly,” just very hard work, we said, “why not?” and signed on. First on tap was researching the trip on the AZT Expeditions web page. 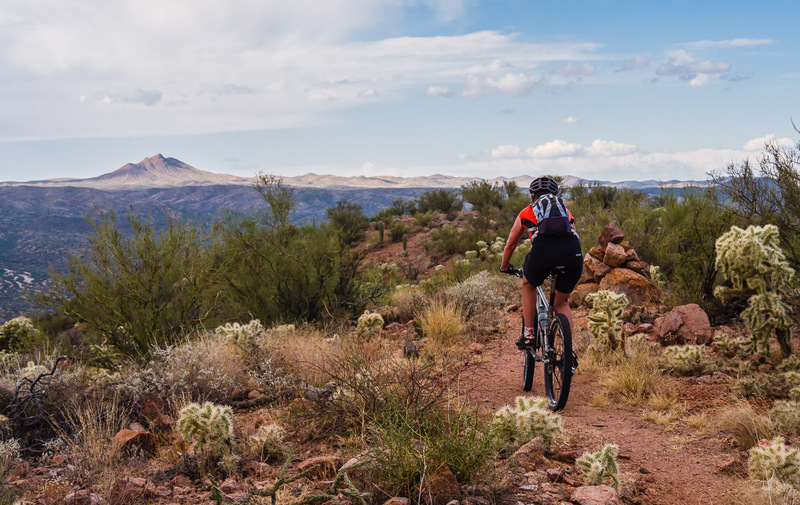 The Oracle to Picketpost trip description pulls no punches: “Our goal is not to scare you, but simply be prepared for a great time mountain biking the Arizona Trail. 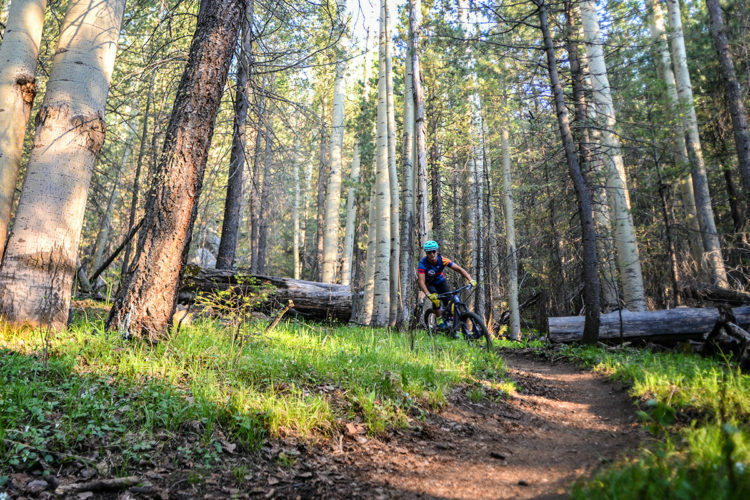 This is a difficult, advanced-level trip for experienced mountain bikers.” It also motivated us to head to our local Buena Vista, CO bike shop, Boneshaker Cycles, to have tubeless tires installed on our bikes. That was the first benefit of undertaking the AZT trip, and made us wonder why we hadn’t done so before. 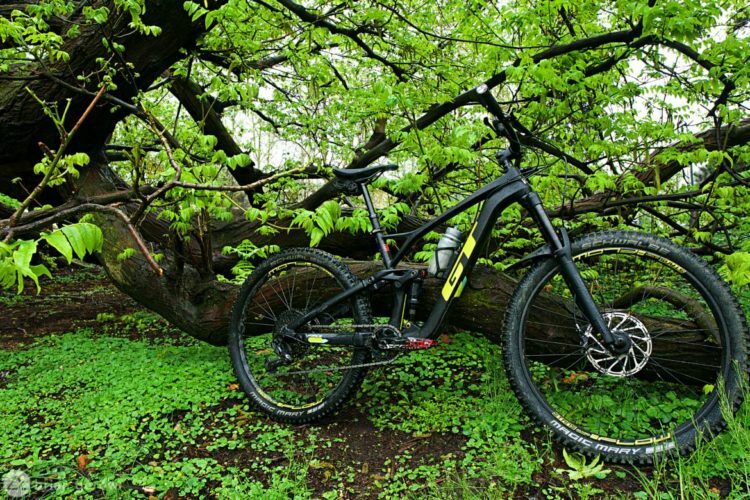 For this trip, tubeless tires or sealant tubes are required. 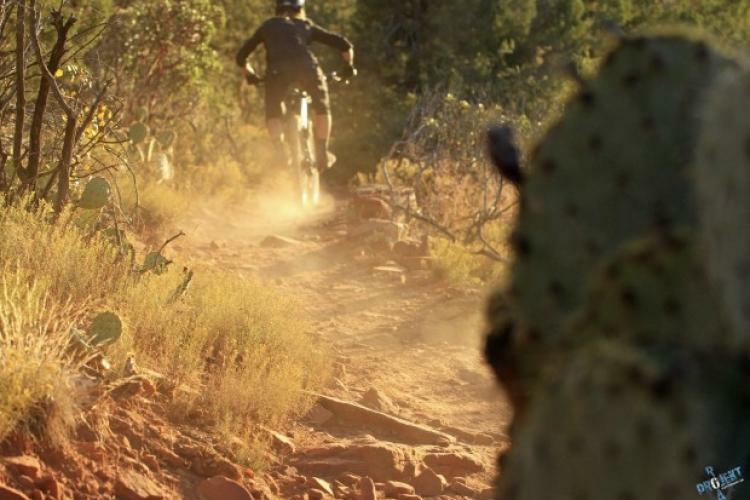 As we were told, “it is not a matter of whether you will ride over cactus, it’s just how soon.” Matt relayed a story of a past group who called him while still in sight of the trailhead. Nine of ten riders had already flatted due to ignoring the sealant requirement. They missed out on the entire first day of riding, instead driving to find appropriate tubes and installing them. So, what does AZT Expeditions provide? 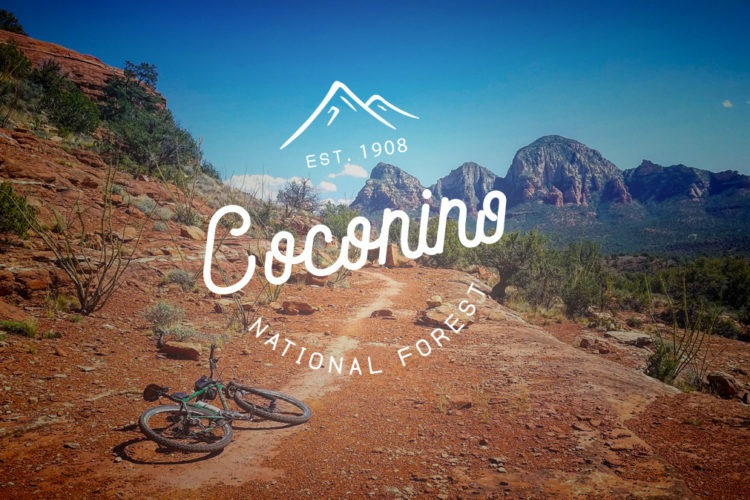 They provide all of the logistics that make it possible to truly experience 100 miles of the Arizona Trail, without carrying everything with you. 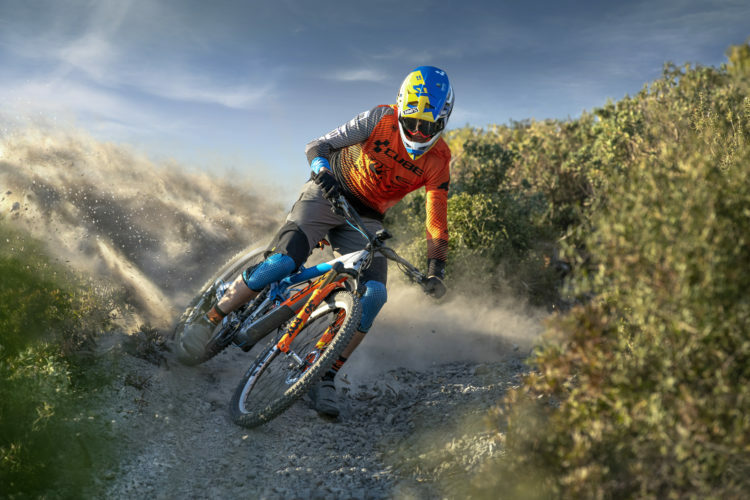 Prior to this partnership, the number one question to the ATA was, “Does the ATA lead any hikes, bike rides, runs?” As partners, ATA and AZT Expeditions designed 15 trips, five each specified for mountain biking, hiking, and running. All are self-guided. 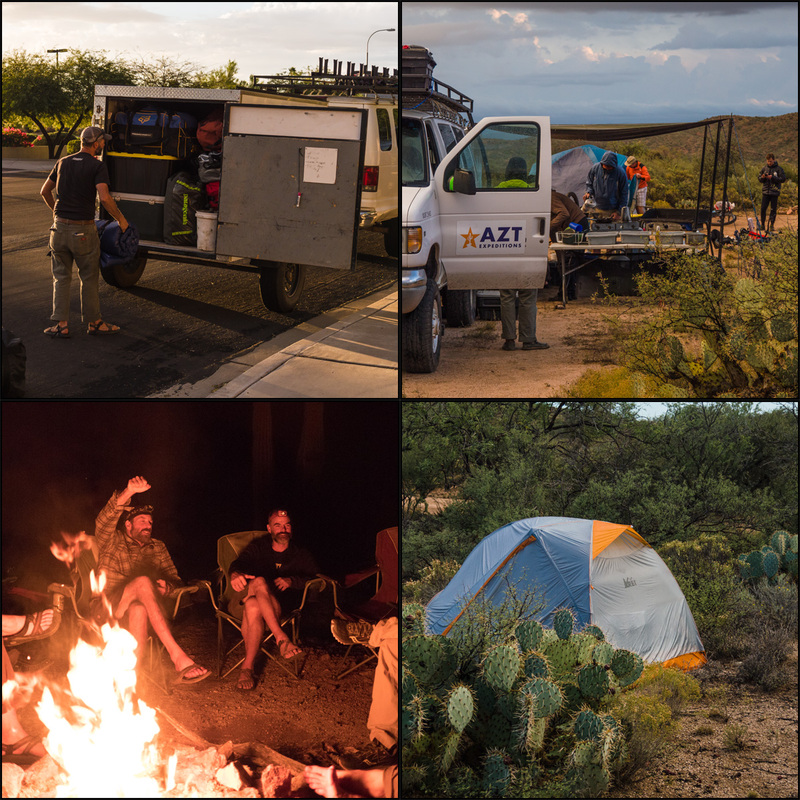 AZT Expeditions provides routes, shuttles to the start and back, daily camp and gear re-location, and most importantly, fresh water! Bikes loaded for transport on the first morning. 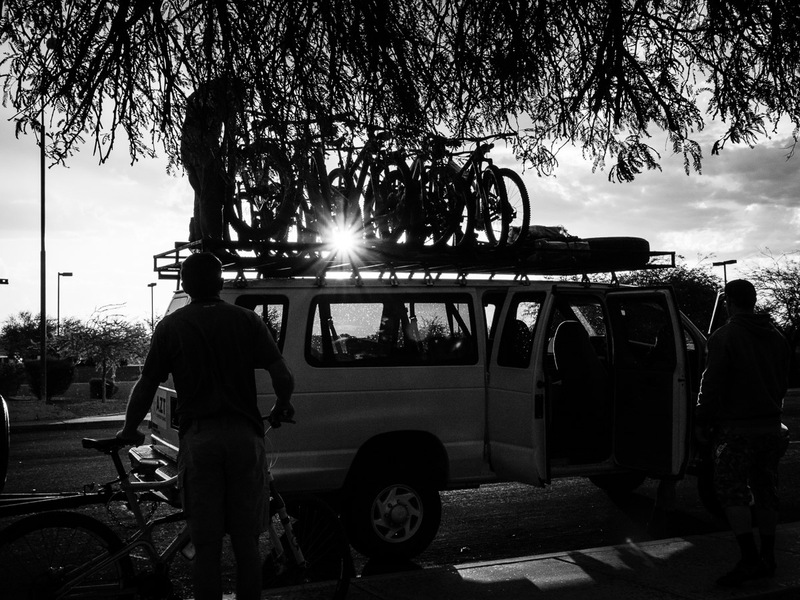 As a trip participant, you choose your own gear (bikes can be rented), including riding clothes, hydration pack, camp clothes, tent, sleeping bag, food, and libations. 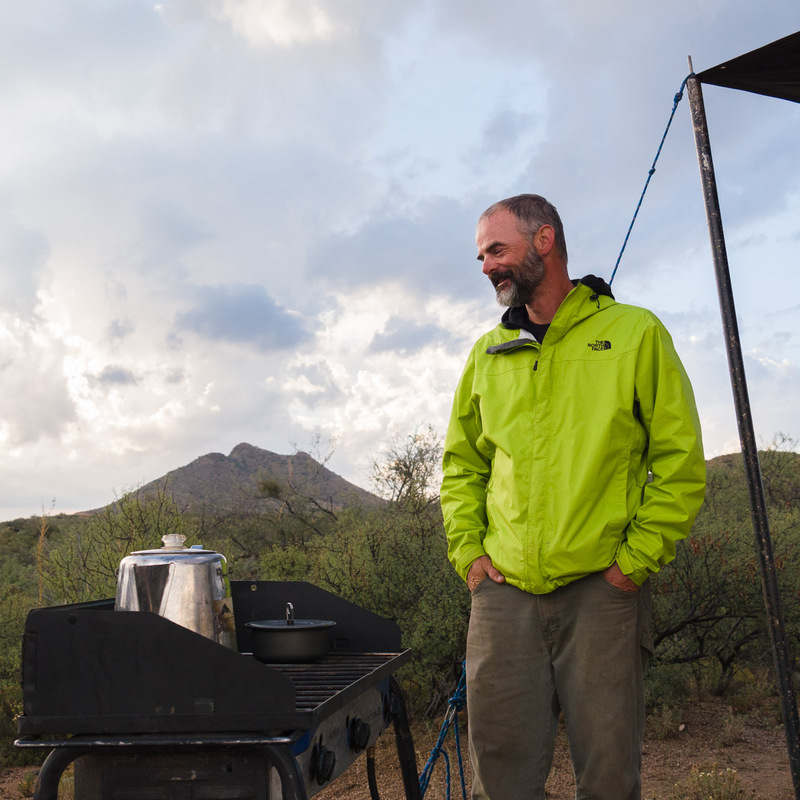 While you ride, AZT Expeditions takes your stuff to the next camp, where they also set up a complete camp kitchen, comfy camp chairs, a groover (camp bathroom with a beautiful view) and build a campfire. Clockwise from top left: gear stowed and transported, camp kitchen under 10×10 tarp, personal tents set carefully among the cacti, roaring camp fires round out the day. After five to nine hours of desert riding, knowing that a cooler of cold beer is awaiting is incredibly wonderful. This structure allows you to choose as basic or gourmet meals as you are willing to cook. The group of five guys, Bill, John, Dave, Lee, and Myles, from Santa Fe, were impressive camp cooks. 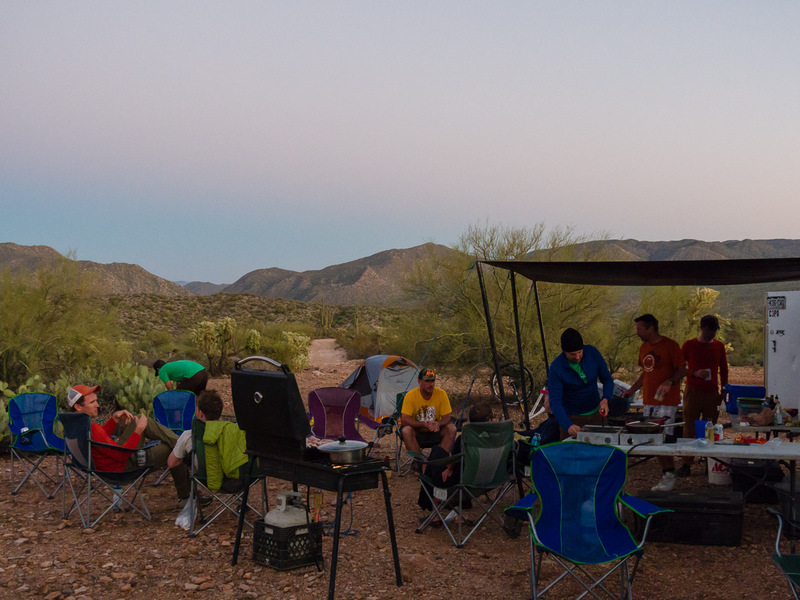 They planned, shopped for, cooked, and served steak, breakfast burritos, Thai stir-fried veggies with grilled chicken, and made full-on sandwiches for trail lunches. When I’m not in my own kitchen, I cook camp meals that simply require boiling water. Regardless of meal choices, we all made sure to have plenty of cold beer. Buena Vista, CO Eddyline Crank Yanker IPA makes a good post ride thirst quencher while their Epic Day DIPA makes a solid pairing with dinner. 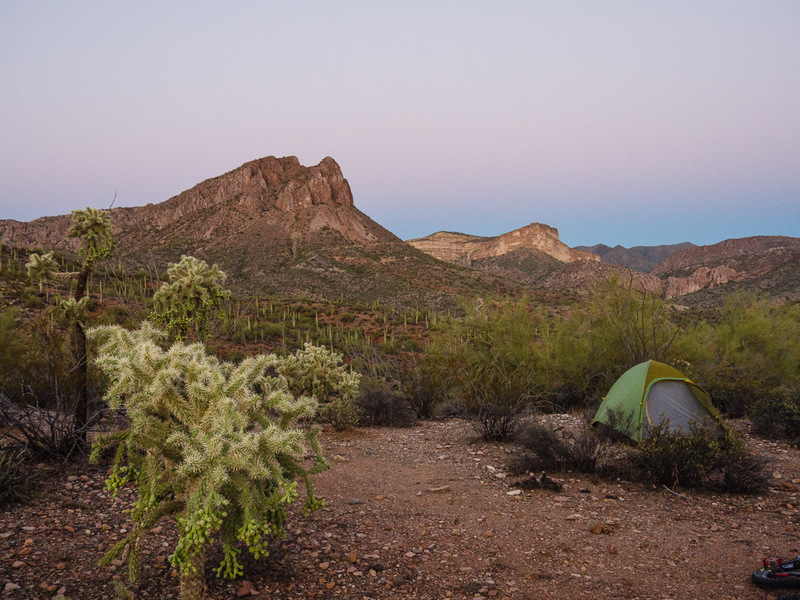 ATA and AZT Expeditions work hard to find campsites that are accessible by truck, that break the trip into doable days, and are memorably beautiful, when permitted by land managers. They can’t always get it all, but they sure come close! As Lee put it, “…the amazing remote campsites that we got to on our own bikes” were a trip highlight; Bill ranked day three’s camp as tops. Bill emphasized that the camp “hang-out” time was as fun as the riding and warns to not underestimate the importance of chill time. He recommends that you “bring good food and be creative when designing menus.” He reminded me that creature comforts, like pickles, matter too. He’s right: the Santa Fe group’s last three pickle slices got me through the final day–thanks, guys! 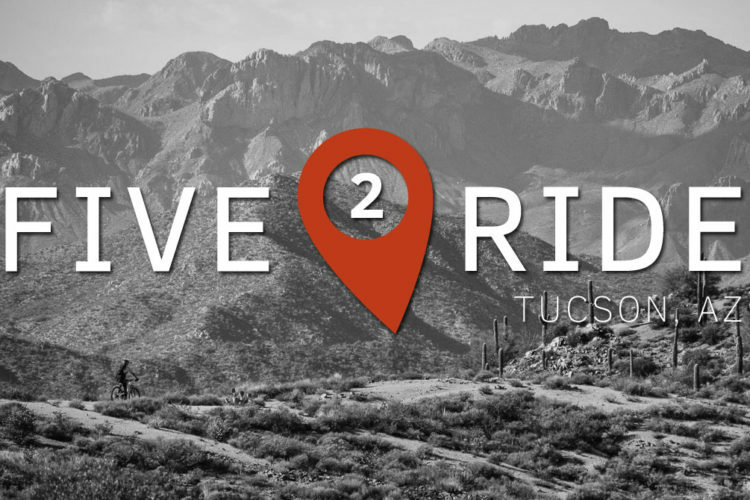 AZT expeditions and the Arizona Trail Association have created a great way to share the love they have for the Arizona Trail. Matt McFee, of AZT Expeditions, also demonstrates his passion for the trail by being the Trail Steward for Section 14 near Antelope Peak. 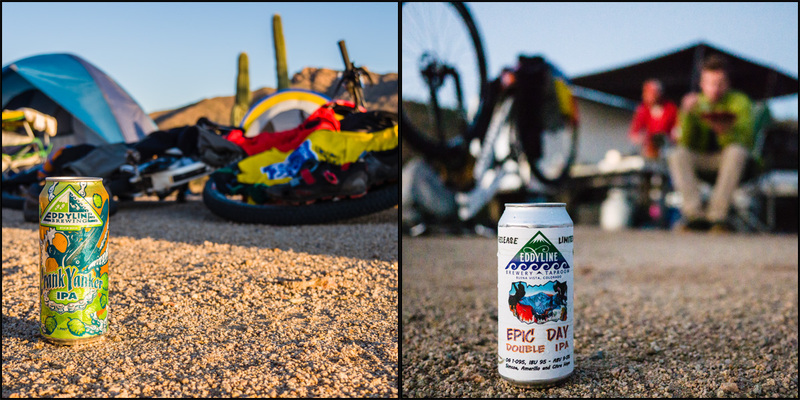 I would definitely recommend that anyone who wants to experience a multi-day Arizona Trail trip carrying only a day pack, or a person contemplating a bikepacking trip, sign-up for an AZT Expeditions trip. Finding out what a long day in the Sonoran Desert is really like, knowing that water is provided each day, is worth its weight in gold! Click here for a full Oracle to Picketpost trip report! 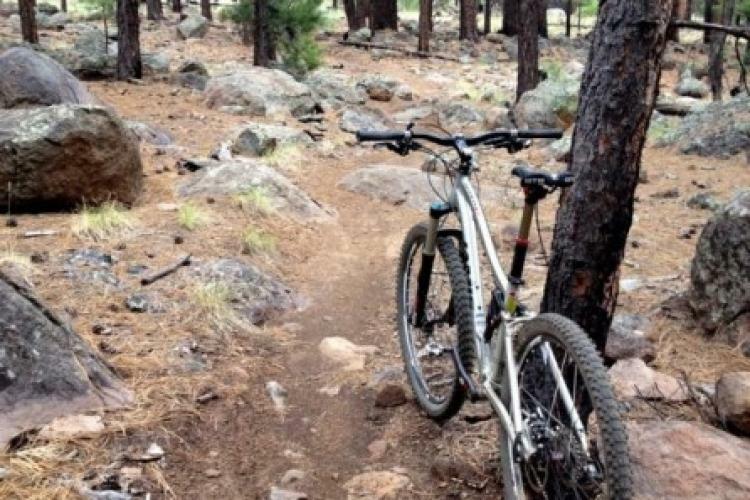 Matt, Tom and Kevin heading up some of the nice bench cut singletrack that the Arizona Trail has to offer.